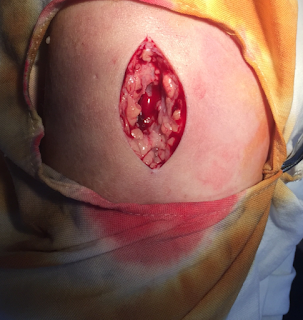 Woman 33yo, from Ca mau province, with history onset one year ago, fever and some red macula appeared at abdominal skin that biopsy result of macula was lipoma. 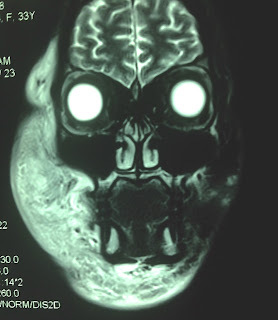 But it is not in stop of progress, a lot of red macula were getting more over 2 legs and upper arms to her right face. In palpation, red macula is hot and induration (Photo1,2.3). 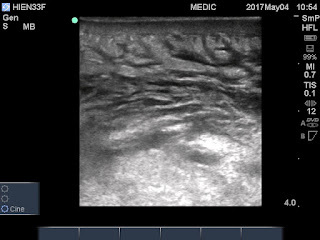 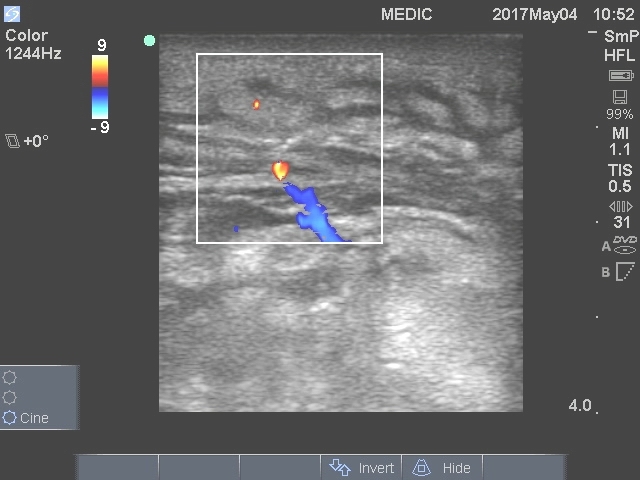 Ultrasound scanning of her right face represents edema of subcutaneous fatty layer, no hypervascular. 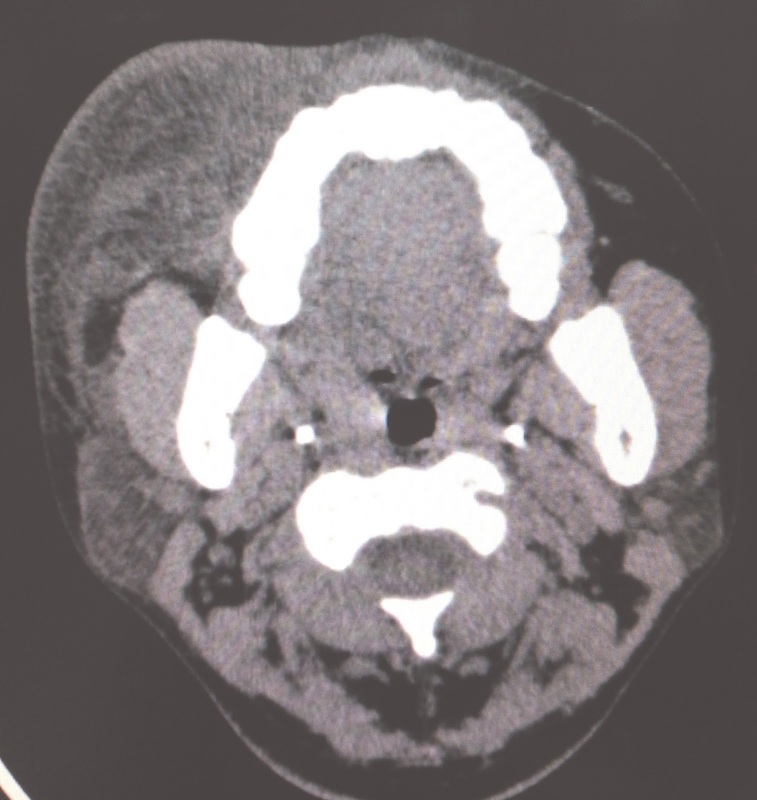 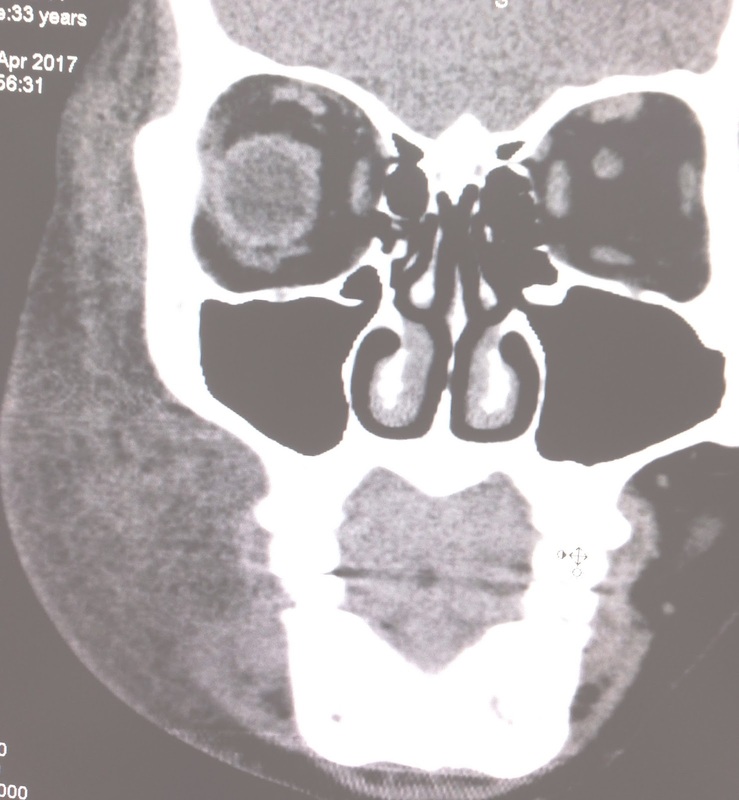 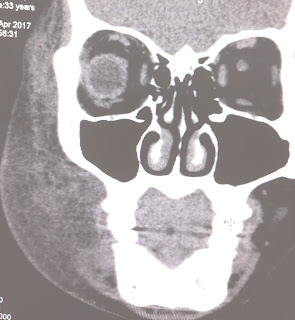 CT scan of the face shows normal bone and subcutaneous edema of her right hemifacial side. 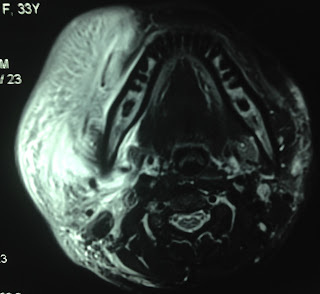 MRI also detected facial edema of subcutaneous fatty tissue (MRI 1,2). 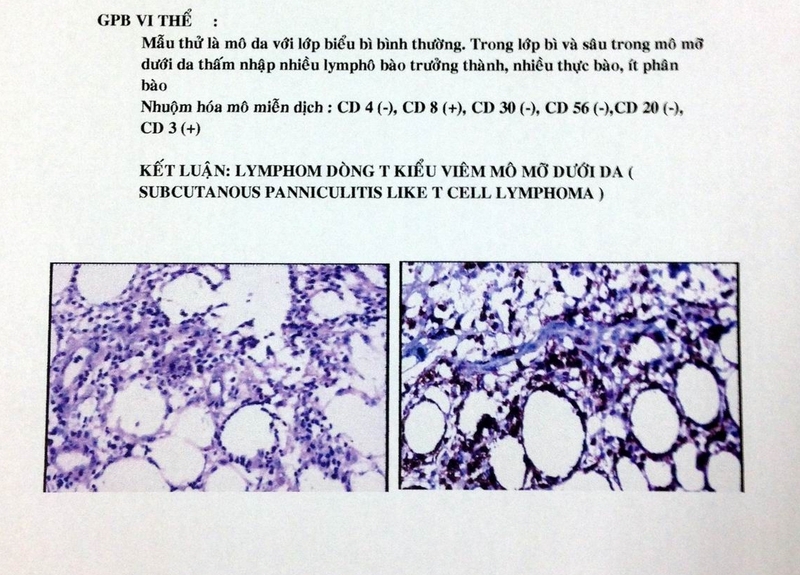 Blood tests= pancytopenia, negative ANA test and anti-dsdna, very high ferritin >2,000, LDH =2,581 UI, beta2 microglobulin= 3,701, CRP = 64 ng/mL, c3 =122 (normal), c4= 66 (n: 15-450), kappa and lambda not detectable. 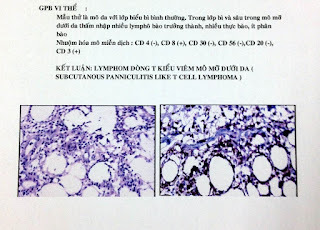 Biopsy at lesion in forearm, report with immuno histo chemetry stainning is subcutaneous panniculitis like T-cell lymphoma.